The classic slot car game... now in your phone! On a Nexus one (with 1GHz processor) with Froyo (Android 2.2) this sould be something similar. But in other (slower) mobiles may be lower. If you select on the settings ELO 2100, the engine will be playing at his maximun strength; selecting lower ELO levels, the chess engine lowers its playing strength, introducing errors and reducing game knowledge. We made some statistic analysis to determine the relationship between the errors introduced and the ELO level, so it should be something aproximated. The move time is different to ELO, it’s only the time that the engine will be thinking for each move. To save battery the game does not ponder (think on opponent’s time). We just released Mobialia Chess v4.0 including a new 3D board feature (in beta). It works only in landscape and this first version does not show board coordinates nor captured pieces difference. At the moment we are using pieces models with a low amount of faces to be compatible with many different devices. We did some test with better models, but it was causing out-of-memory errors on low end devices. We just released a new Android app to track your Twitter followers. One of Twitter’s lacks is that you cannot see who unfollowed you. This app solves this problem showing for each one of your accounts a list with your lost (and gained) followers. Supports multiple accounts and also displays a graph with the followers count progression. It’s available for free at the Android Market. Help us translating Mobialia Chess! This tool is quite simple to use, you can add new translations or modify the existing. Be careful to maintain the “\n” and “|” characters on their positions. 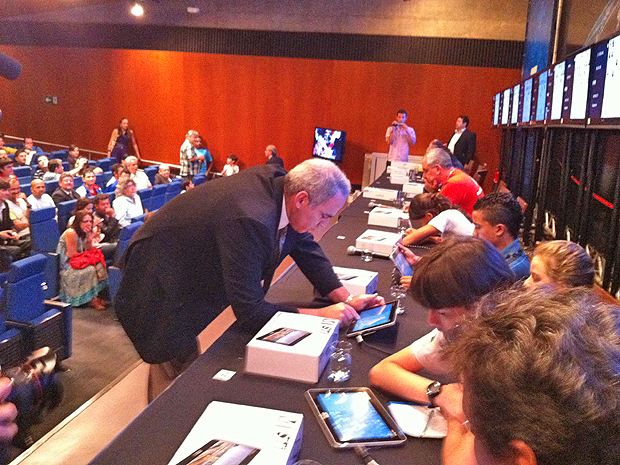 On August 29th, the Ex-World Chess Champion and chess legend Gari Kaspárov played and exhibition simul game with the Semp-Toshiba myPad tablet using our app Mobialia Chess. 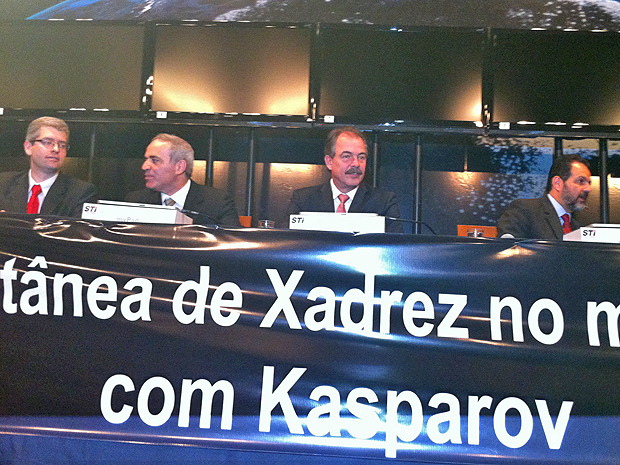 This game was played at the Brazilian Federal District against 13 opponents with some politicians among them. The event was a presentation of the new Semp-Toshiba myPad Android tablet featuring a 10″ screen and a Nvidia Tegra 250 dual-core 1Ghz CPU. This is the fist tablet device made in Brazil! 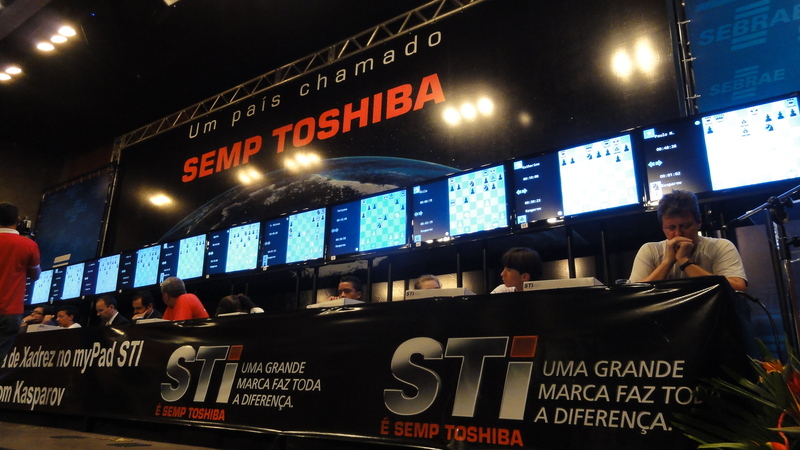 We are very proud that Semp-Toshiba choosed our chess app, and to celebrate it we released a new Mobialia Chess version with portuguese translation. 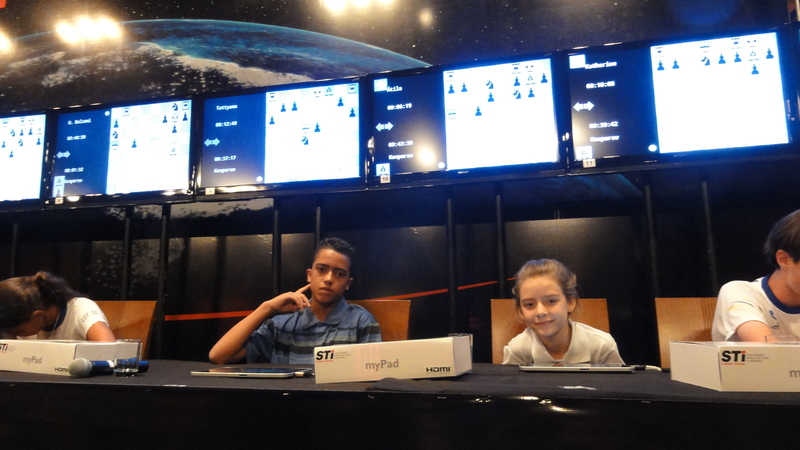 Android tablets are great devices to play chess and we expect a big increment of tablet devices running our chess app. At the moment our Chess app does not include the opening names, but if you want to learn openings, you can use a PGN file with one game for each opening and browse it with the embedded PGN viewer. Download this file, open it with Mobialia Chess and then play it. When you are at the end of the file you can continue playing in the offline mode with MENU->Play Position. We published today a complete version of Mobialia Chess called “Mobialia Chess (Ads)” available to download for free at the Android Market. This is possible because this app now shows ads on the board screen. The paid app continues to be available for those who wants to get rid of the ads.